Torque Tools Inc. mobile calibration program offers customers on-site calibrations to reduce the down time of their equipment. 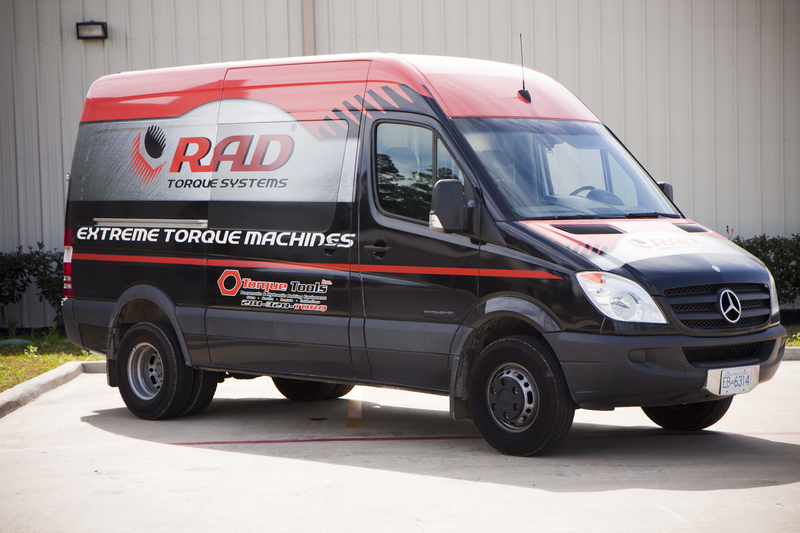 Our vans have been equipped with the latest calibration technology from AWS in a climate-controlled environment. We have the ability to calibrate pneumatic, hydraulic and manual torque wrenches up to 10,000 ft-lbs. Our vans are heavily stocked with spare parts which allow us to perform most if not all repairs on-site. Call today for a free on-site consultation. Maintenance programs available upon request.